The college is at the north of the city, so it may be best if you are visiting us to get in a white taxi. Just check that there is an SPQR on the door. 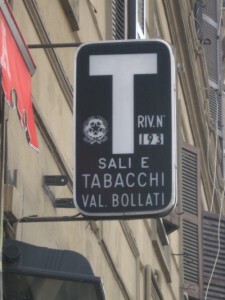 Taxi drivers in Rome are notorious for taking advantage of tourists so make sure the meter is switched on and on Tariff 1 at the beginning of your journey (this will change as your journey continues). Typically, a taxi from town to the College costs €15 – €20. It is important that you buy your ATAC tickets before you travel. 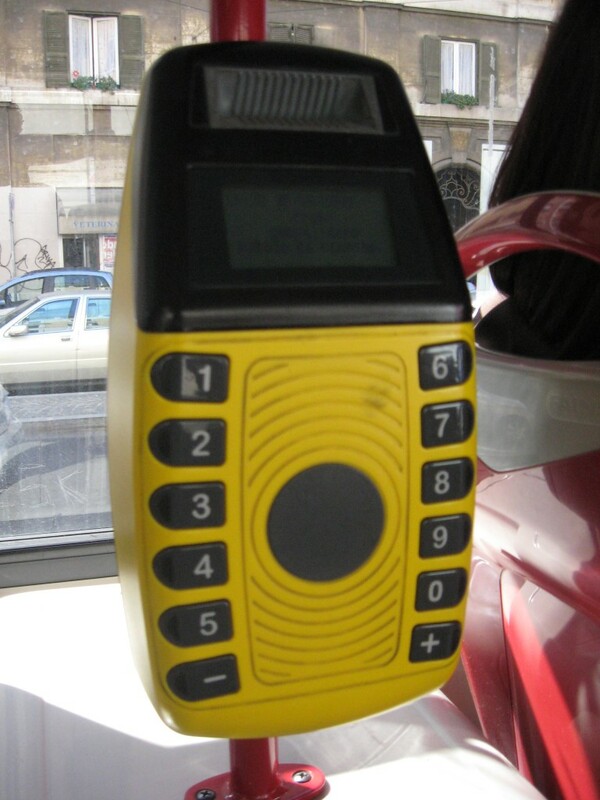 You must validate these when you board a bus in a validation machine (like the one pictured, below) and before you take the Metro. You can buy your tickets from Metro stations, or from tobacconists around the city. Simply look out for the sign (like the one pictured, right). A number of different types of ticket are available, ranging from 100-minute to 7-day tickets. From Piazza Augusto Imperatore or Lepanto Metro: Take the 301 bus and get off at the junction of Via Cassia Antica and Via Cassia Nuova. From the Vatican: The easiest way to get to the College from the Vatican is to take the Metro from Ottaviano and get off one stop later, at Lepanto. From there, you can catch the 301 bus (see above). From Termini: Either take the Metro to Lepanto and then catch the 301 bus (see above), or take the 223 bus from Termini bus station and get off at the junction of Via Cassia Antica and Via Cassia Nuova. From GRA (Rome Ring Road): Take Exit 3 Via Cassia and take the direction towards the city of Rome. The college is on the right, 600 metres after Ospedale San Pietro (St Peter’s Hospital). Although it is possible to get in a taxi to or from one of Rome’s airports, it can often be expensive. This is because the College is not within the ancient walls of the old city, and so there is no fixed price. Therefore, it is best to book a transfer. Always agree on the price at the time of booking. 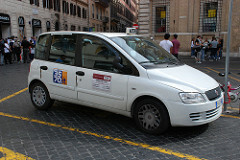 White taxis have a fixed rate between the airports and the historical centre of Rome (within the Aurelian Walls). Please note that the Scots College is not in the historical centre of Rome. From Fiumicino: (Leonardo Da Vinci Airport): Express train from Fiumicino to Termini Station, non-stop (€14). Or Local train (€8) from Fiumicino to Tiburtina Station. You can buy your tickets at the station. Make sure you validate your ticket before travel in one of the on-board machines.